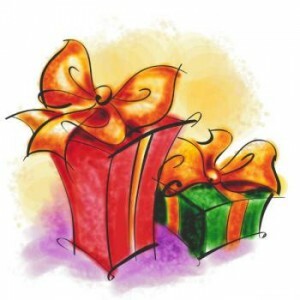 Twitter Christmas Giveaway! - You CAN Go the Distance! I love to give! Do you? Between December 3rd and December 24th, I gave away 66 copies of my book, You CAN Go the Distance! I think I enjoyed the giving process as much, if not more, than the winners enjoyed receiving a free copy of my book! The comments I got from people, especially the recipients, over the last 22 days has been so much fun to read and so inspirational for me! Many of the recipients said they had been thinking about running a marathon for a while and that it seemed providential that they should be the winner! Well, as one who doesn’t believe in coincidence or accidents, I know it was providence that led me to select them! Anyway, a huge Thank You to all who participated in my giveaway! I wish all who tweeted about my book could have won! I appreciate each and every tweet! If you didn’t win but would still like to get a copy of my marathon training plan, You CAN Go the Distance!, you can get the Kindle version for just $0.99 until December 31! P.S. to see the list of winners and the text of the original contest, keep scrolling down! Everyone loves to receive presents! Everyone loves Free Stuff! and who doesn’t love contests? Would you like to receive a free copy of my book, “You CAN Go the Distance!“? Every day, Starting on December 3, 2013, through Christmas Eve, December 24, 2013, I’ll be giving away 3 Free Kindle copies of my book! That’s 3 copies per day! All you need to do enter is send a Tweet to your followers that contains a link to my book on Amazon AND uses the hashtag #YouCAN. That’s it! This offer is just for Twitter users! You may tweet as many times as you like each day–but space them out throughout the day!. I will randomly select 3 tweets each day from the previous day’s tweets. 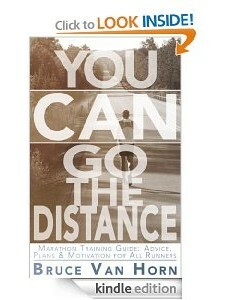 If I select your tweet, I’ll send you a Free Kindle version of You CAN Go the Distance! I will tweet the winners each day and publish the list of winners here! You can tweet as often as you like (which increases your chance of winning! ), but you can only win once! Happy entering! I hope you win! If you are selected as the winner, I will send you a tweet to let you know! As long as you’re here, why not have a peek at some of the book’s content? Here are the winners! Congratulations and THANK YOU for Tweeting about my book!! !